George Lazenby as James Bond in On Her Majesty’s Secret Service (1969). Here in Pittsburgh, the snow has finally fallen and folks are sporting all the cold weather that they can muster. 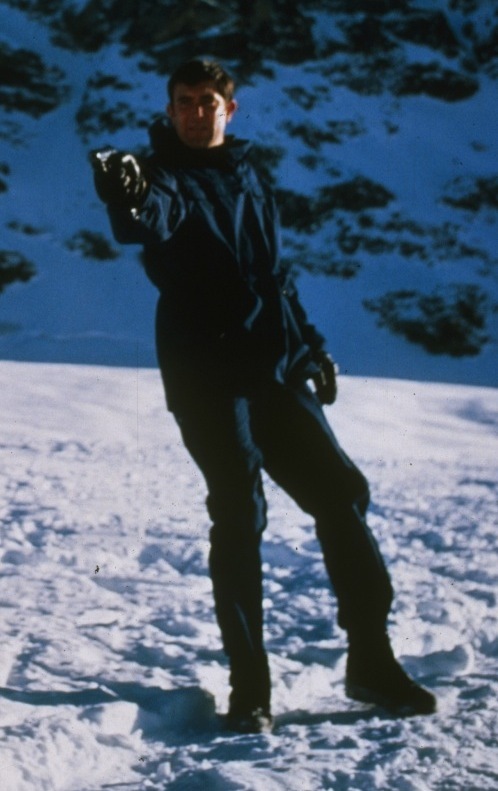 The weather may be different depending on what part of the world you’re in, but Swiss vacationers should make sure they have some snow attire ready to hit the Alps, Bond style.